(Alexandria, IN) – The Gaither Homecoming Tour kicked off the 2015 tour season in Florida with huge concerts in Estero, Jacksonville and a sold-out concert in Tampa. This weekend’s concerts on January 22, 23 & 24, were hosted by Bill Gaither and featured an award-winning artist roster including the Gaither Vocal Band, the Isaacs, the Nelons, Gordon Mote, Charlotte Ritchie and Gene McDonald. The Gaither tour will continue in Texas in early February, where the Gaither Vocal Band will headline concerts in Lubbock, Houston and Austin. Visit www.gaither.com for details on these and all other remaining 2015 concert dates. Paul’s Journey announces the resignation of Dennis King as our baritone singer. Dennis sang with the group almost one year. Dennis needed more time at home to be his family. Being in a full time group takes you away from home many days of the year and when it comes a time that your family needs you more then that’s where you need to be. We want to thank Dennis for his time here and wish him the very best in his future! Joe Kitson rejoins Paul’s Journey! Joe sang with the group in 2012-2013. After taking a year off the road to help his family move and finish his education he was ready to start singing and ministering again. Joe and his family now live in the North Houston area where the group is headquartered. NASHVILLE, Tenn.—January 29th, 2014—Songs in the Key of Happy (Gaither Music Group), the debut CD release from newly formed trio Goodman Revival, landed at #1 on this week’s Southern Gospel chart according to Nielsen Soundscan. In addition, the Songs in the Key of Happy DVD topped the Christian Music Video chart.The audio release also landed at #11 on the Contemporary Christian Music chart, and the DVD came in at #4 on the Billboard Music Video chart. In addition to this week’s recording launch, the group’s debut single, “What a Happy Time,” landed in the Top 80 chart of national monthly radio airplay after only two weeks of nationwide airplay. The song is in the Top 5 New Releases at 14 stations and is the #3 Pick Hit at six stations. Songs in the Key of Happy finds Goodman Revival, of Smyrna, TN, paying homage to the music they grew up singing and hearing. The trio consists of Tanya Goodman Sykes, Michael Sykes and Johnny Minick, each of whom are seasoned Christian music veterans and past members of the legendary Happy Goodman Family singing group. This recording debut finds these familiar faces capturing the musical styles and heritage that have endeared them to countless people around the world for several decades. The energy and passion the members of Goodman Revival bring to these timeless songs are readily evident on the DVD that was filmed before an enthusiastic audience at Gaither Studios in Alexandria, Indiana. In addition to the LIVE performance, the trio sat down with the video’s host and their longtime friend Bill Gaither for a behind-the-scenes look at the new recording and the Goodman Family legacy. The new releases are currently airing as part of a tv campaign on DISH TV, DIRECTV, AT&T Uverse, GaitherTV, TBN, FamilyNet, CTN, GMTN, Guardian, Liberty, RFD, TCT and TLN. The campaign is airing in Canada on Vision TV, The Miracle Channel, Grace TV and CTS. The group has received glowing album reviews and has been featured on Sirius-XM Satellite Radio’s enLighten Channel and in HOMECOMING Magazine. Goodman Revival will appear on the Gaither Vocal Band’s upcoming DVD Sometimes It Takes a Mountain (Gaither Music Group). The Songs in the Key of Happy CD and DVD are exclusively distributed by Capitol Christian Distribution, and they are available throughout general market stores and the Christian marketplace in addition to online retailers including iTunes, Amazon and www.gaither.com. http://youtu.be/yNnXUAYumyg?list=UUL7aOpP89MGVXrPu7PzhhpwFor further information, visit the group’s newly launched website www.goodmanrevival.com or connect at facebook.com/GoodmanRevival or on Twitter: @GoodmanRevival. This week’s program on “Good News Music Radio with Woody Wright” features Part 1 of our interview with Rick Webb of The Rick Webb Family and music from The Goodman Revival, Adam Crabb, Wilburn & Wilburn, The Gaither Vocal Band, Rachel West Kramer, The Martins, The Booth Brothers and MORE! Hendersonville, TN – Jan. 30, 2015) The Jim Brady Trio celebrated Tuesday’s release of its debut project with Daywind Records at a CD release party, which was held at Bridgestone Arena’s SiriusXM Music City Theater in Nashville, Tenn. The trio consists of Jim Brady, his wife Melissa and former Legacy Five pianist Tim Parton. Parton and Jim Brady co-produced the 12-song project, and Jim Brady wrote or co-wrote six of those songs, two of which were comprised along with Melissa Brady. Melissa also penned a song with Sue C. Smith, one of the notable songwriters on the project along with Eddie Crook, Phil Cross, Rodney Griffin, Squire Parsons, Randy Phillips, Barry Weeks, Aaron Wilburn and Tony Wood. The group performed songs from the project at Tuesday’s invitation-only event. It will be broadcast on Sirius XM’s enLighten station this Saturday, Jan. 31, at both noon and 3 p.m. It will also be aired at undisclosed times in the future as well. Daywind Records is home to an award-winning roster of artists, including Legacy Five, the Nelons, Karen Peck and New River, Brian Free and Assurance, and many others. Daywind is distributed to retail through New Day Christian Distributors, Select-O-Hits, and all major digital outlets, including iTunes. For more information, visit www.daywindrecords.com or contact Amanda Martin at publicity@daywind.com. For more information on the Jim Brady Trio, visit the group’s web site at www.jimbradytrio.com. Crabb Family: Sold-Out, Standing Room Only for Reunion Tour! Celebrating 20 years, this worship experience reunites the entire family - Adam, Terah, Jason, Aaron and Kelly - along with special guest Mike Bowling, to deliver an amazing evening full of music laughter and ministry. In addition to the tour, a new collection of hits and beloved songs of The Crabb Family has been released. CRABB FAMILY 20 - PLATINUM EDITION, available on CD now at www.JasonCrabb.com and all concerts, celebrates the incredible moments and anointed music the group has been known for over the past twenty years. Through the music, audiences will revisit countless memories - sixteen number one songs, ten GMA Dove Awards, multiple GRAMMY® nominations and the spirit of the group that took them from the Grand Ole Opry to the Brooklyn Tabernacle and internationally known Gaither Homecoming videos and stages. To this day, the Crabb Family remains one of the most significant artists ever to grace a stage or record a song. We are very excited about Sunday night! Be sure to set your DVR to record the show. The classic cadence of the legendary Blackwood Brothers, the dynamic vocal stylings of Brian Free and Assurance, the smooth sounds of Legacy Five and the infectious energy of Tribute Quartet take you on on a musical journey from 1910 through the present day. Nashville, TN (January 28, 2015) - Adoration Agency artist, the Mark Dubbeld Family, announces a change in their family ministry. Eldest son, Vincent, who married two years ago, is departing the group to pursue other interests. The Mark Dubbeld Family remains excited about the future as they continue to follow God's will for their lives. Having experienced such growth and opportunity, including being main stage artists at NQC, they don't take God's plans for their lives lightly. They are currently gearing up for a tour throughout Florida and look forward to seeing many friends along the way. Gadsden, Ala (January 30, 2015) Daywind recording artists, Wilburn & Wilburn, have been nominated for their new video "Help Me” by the Absolutely Gospel Music Awards. "Help Me” is a moving video asking God to help me, help someone else. It's timely message is is fitting for the tumultuous events in our country today. Voting for the Awards begins Sunday, February 1st and will continue through Saturday February 21st . Simply go to http://www.absolutelygospel.com and look for the large banner at the top of the front page and you can click to vote for Wilburn & Wilburn. The Absolutely Gospel Music Awards, often called the "finest” awards in the industry have been presented since 2002 by the staff of AbsolutelyGospel.com. The award nominations are chosen by the staff of AbsolutelyGospel.com and other select industry professionals, and most of the winners are then chosen by the fans of the genre and readers of the site. In 2005, AbsolutelyGospel.com held its first AGM Music Awards Celebration which brought in all the artists, industry professionals, and fans for an official awards ceremony. In 2006, AbsolutelyGospel.com held a contest for the readers to name the statue that is presented to the winners at the Awards Celebration, in which "Ovation" was chosen as the winner. The Ovations are handed out on the second Tuesday in April every year. In other news Wilburn and Wilburn can be seen on Harmony Road TV. Its affiliates and time slots can be found at www.harmonyroadtv.com. Viewers can also interact with the program on Facebook at Harmony Road TV and on twitter@harmonyroadtv. They can also be heard on this weeks programming for "
t". 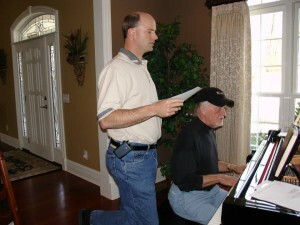 Tune-in to one of the stations listed on their site or listen online for an hour of great gospel music, inspiring ministry and fun with Woody Wright and D. Scott Kramer at: http://GoodNewsMusicRadio.com/ . Wilburn & Wilburn, the Father – Son team of Jonathan and Jordan Wilburn are continuing the tradition for three generations. Jonathan spent the first 16 years of his Southern Gospel Music career singing with his family, the Wilburns, one of Gospel Music’s most beloved and respected families.In 1996 Jonathan would move to Gadsden, Alabama where he would anchor the lead position with Gold City for the next 12 years. Nashville, TN — Five talented friends from the blue-collar county of Haywood in North Carolina, got together one night for a jam session … and it felt good. Soon, the band Balsam Range was born, and now, five albums later, this high energy acoustic band has won awards and garnered fans worldwide. They have been invited to play some of the most iconic stages in the USA including The Grand Ole Opry, MerleFest, Music City Roots, Mountain Stages from The Lincoln Theater, The Zac Brown Band Southern Ground Festivals and coming up in the Spring of 2015, Stagecoach, California’s huge Country Music Festival. During his recovery, Buddy felt that his strength and muscle tone were diminishing. He pushed himself and started riding his mountain bike, setting a goal for himself that his wife and doctors thought impossible and even foolish. He was determined to compete in the Assault on Mt. Mitchell, the highest peak East of the Mississippi River. The race is 6,684 feet above sea level with 10,357 feet of vertical climbing. He trained rigorously and in 2013, Buddy participated in the race, and despite continuing to struggle with issues from the farm accident, he finished 87th in the Men’s 40-44 age bracket, and 489th overall out of 719 riders. Balsam Range went on to release its 5th album in 2014 and this year, at the IBMA Awards, Balsam Range was named ENTERTAINER OF THE YEAR, VOCAL GROUP OF THE YEAR. And the determined singer and fiddler? Well, Buddy Melton won the MALE VOCALIST OF THE YEAR Award. Others have noted the talent of Balsam Range and invited the band into more opportunities. The band provided the music for DAYLIGHT, a swampy, original Americana release by John Driskell (“Hop”) Hopkins, founding member of the Zac Brown Band. Balsam Range also provides music and appears in the upcoming motion picture thriller, Careful What You Wish For, directed by Elizabeth Allen and starring Isabel Lucas, Dermot Mulroney, Nick Jonas and Paul Sorvino. The men of Balsam Range actively give back at every opportunity, raising more than half a million dollars for various regional and national charities. For their annual Winter Concert Series, held at the historic Capitol Theater in Canton, NC, the fellas have each chosen a charity that will benefit from each of the 5 concerts in the series. Balsam Range released its 5th album in 2014. The appropriately titled, FIVE, debuted at #4 on Billboard Bluegrass, where it remained for 6 consecutive weeks. The album is available on the Mountain Home Music Company label, and it contains one song that has a unique meaning to these five friends. The band is enjoying a career high, however, that nearly didn’t happen. Singer/fiddler, Buddy Melton sustained serious head injuries in an accident on his farm in 2012. For the first few days, it was uncertain whether he would survive. Family, band mates, friends, and the extended family music lovers all hit their knees and prayed for Buddy’s recovery. Later, Buddy was told by docs that, due to the severity of his head injuries and especially the damage to his sinuses, Buddy was not likely sing again, or ever sound the same. The band was already in the studio working on PAPERTOWN and as he recovered, Melton “just had to know.” He called up guitar player/singer Caleb Smith and asked Caleb to take him to the studio, although doctors and Melton’s wife, Carla, were against the idea. Although he was incredibly weak, Melton stepped up the microphone and delivered the poignant “Wide River To Cross” and his voice was still there … a voice that had helped to define the Balsam Range sound and now would take a 4th album to an ALBUM OF THE YEAR win at IBMA 2013. Following a week of tests, Carroll McGruder’s medical team has determined that he has lymphoma throughout his body. He has also been diagnosed with two broken vertebrae and a broken hip. Chemotherapy and radiation will begin immediately. His medical team is a group of highly respected and skilled surgeons and oncologists. By faith we anticipate a full recovery for Carroll! He, his wife Sharon and their children are so thankful for the prayers and outpouring of love to their family. We ask that you respect their privacy and Carroll’s need to protect his immune system during this treatment process. We appreciate your prayers, love and support for the McGruders! Nashville, TN (1/23/2015) - Zane and Donna King are pleased to announce the addition of guitarist/vocalist Stephen Adcock to the group. The couple is thrilled to welcome him and very excited about this positive change as their music and ministry expands. Zane expresses, "As we've continued to see God working in what He's called Donna and I to do, we've realized the need for another instrument and vocal on stage with us. Our first priority was to find someone who shared our desire to reach those who need to hear how much God loves them. Secondly, we hoped to find someone who had very strong guitar skills (It's lonely up there playing all by myself), and third, we prayed that they could sing a little as well. God exceeded all of our expectations in Stephen. His heart is in the right place and his talent, as an instrumentalist and as a vocalist, is just excellent. We are beyond excited about the future." Stephen and his lovely wife, Bre, make their home in Murfreesboro, TN. They hail, originally, from the great state of North Carolina. Stephen has some solid road experience, having traveled and played with Bluegrass Gospel band Breaking Ground. The group's debut album, Mile Marker One, has garnered four Top 20 hits including "Hallelujah Jesus Saves," "Shine," "If There Was Any Other Way," and "No One Like God." As of this week they add a Country Album Of The Year nomination, from Absolutely Gospel, to their list of accolades. All of this, Donna affirms, has little to do with them. She shares, "Just this morning my husband and I talked about how much God has woven together in our lives. It isn't just about music. It's everything... Our family and how God has moved in it is the most amazing part. There's nothing more important to us. And, then, in our music and how God is using it, we are humbled to say the least. We pray that when people hear us and see us, they won't... That may sound confusing. But, truly, our prayer is that they will see God and hear God telling them just how MUCH HE loves them and just HOW completely HE can change a life." To learn more about the Absolutely Gospel Music Awards, visit www.absolutelygospel.com. Waynesboro, NC (1/22/2015) - Jordan and Elena Cragun (of The Craguns) are blessed to announce the arrival of their brand new baby girl, Scarlett Skye Cragun. Scarlett made her first appearance to the world on Tuesday, January 19th, 2015 at 8:24am. She weighed in at a 6lbs 4oz. and is 19 inches long. And, with a family like The Craguns, she will never be short on love. Her overwhelmingly grateful dad, Jordan, shares, "What an incredible feeling it was to hold Scarlett in my arms just seconds after her birth and realize that I am officially a father! I will never forget the sense of pride, thankfulness, and responsibility that consumed me in that moment. The gift of life is nothing short of miraculous! Elena and I would like to say a huge THANK YOU for all the well wishes and congratulations we have received from literally thousands of people all over the world. We ask for your continued prayers as we strive to be the best parents we can be and raise Scarlett in a loving, Godly environment." You can be sure to see many more pictures and follow little Scarlett's story of life with The Craguns by signing up for their E-news letter at www.thecraguns.com. You can also learn more about her talented family and their ministry there. Additionally, you can like The Craguns on Facebook here- The Craguns Facebook. Scarlett will also be appearing at most of their 2015 dates. She looks very forward to meeting many of you along the way. The Craguns are proudly represented by the Dominion Agency. To schedule them at your church, concert, festival, or special music event you can contact Michael Davis of the Dominion Agency by email at michael@michaeldavisandassociates.com or by phone at 828-454-5900. Hendersonville, TN – January 20, 2015) The Jim Brady Trio will celebrate the release of its debut project with Daywind Records at a CD release party to be held on Tuesday, Jan. 27. The group will hold the invitation-only event that afternoon – which is the actual release date of “A New Chapter” – at Bridgestone Arena’s SiriusXM Music City Theater, which is located in Nashville, Tenn.
Parton and Jim Brady co-produced the 12-song project, and Jim Brady wrote or co-wrote six of those songs, two of which were composed along with Melissa Brady. Melissa also penned a song with Sue C. Smith, one of the notable songwriters on the project along with Eddie Crook, Phil Cross, Rodney Griffin, Squire Parsons, Randy Phillips, Barry Weeks, Aaron Wilburn and Tony Wood. Daywind Records is home to an award-winning roster of artists, including Brian Free and Assurance, the Nelons, Karen Peck and New River, Tribute Quartet and more. Daywind is distributed to retail through New Day Christian Distributors, Select-O-Hits, and all major digital outlets, including iTunes. For more information, visit www.daywindrecords.com or contact Amanda Martin at publicity@daywind.com. Wilds & Associates is gearing up for another exciting week of family fun, Christian fellowship and live Gospel music at the 2015 Gospel Music FanFair slated for May 18-23, 2015. Returning to Somerset, Kentucky, the 11th annual event will be held in the Center for Rural Development’s beautiful state-of-the-art performance theatre. The prestigious Center is located in the heart of the beautiful Lake Cumberland. The theatre is the “crown jewel and showpiece’ of The Center, where some of the top names in music have performed including the world-renowned National Symphony Orchestra. On-site parking and plenty of nearby hotel accommodations will ensure convenience to artists, vendors, and fans. And in addition to all the outdoor fun of Lake Cumberland, Somerset offers a wide variety of shops, restaurants and attractions suitable for the entire family. Gospel music fans will enjoy the best in Southern, Bluegrass, Inspiration, Urban, and Country Gospel music with live performances from more than 100 of today’s favorite artists. Daily events throughout the week include morning worship services, daily showcases, afternoon matinees, and the 2015 Gospel Music Fan Awards. Presented by Christian Voice Magazine, the annual Gospel Music Fan Awards were established to honor the legends, acknowledge accomplishments and recognize fan favorites within the Gospel music industry. Gospel Music Fan Award recipients are decided upon solely by Gospel music fans and enthusiasts through a two-ballot voting process. Open nominations are currently being accepted. Log on to www.christianvoicemagazine.com or www.gospelmusicfanfair.com to cast your vote. General admission is free, so make your plans now to attend the 11th Annual Gospel Music FanFair. For hotel reservations or for more information, call Wilds & Associates at 205-662-4826 or visit www.gospelmusicfanfair.com. NASHVILLE, Tenn. – (January 20, 2015) – The administrators and staff of AbsolutelyGospel.com are proud to announce the nominees for the 2015 Absolutely Gospel Music Awards. As in years past, the nominees were chosen by the staff of AbsolutelyGospel.com and select media representatives. Starting on February 1, 2015, the fans will get a chance to vote for their favorites in a dozen categories. In addition, the Absolutely Gospel Music Awards opened a new category, Music Video of the Year due to the large increase of short-form concept videos being produced in the genre over the last couple of years. Music videos belonging to HIGHROADIII, The Freemans, Brian Free & Assurance, Wilburn & Wilburn, and Jason Crabb were the first to be nominated in this category. As far as nominations go, four artists tied for the most nominations this year. Last years big winners The Isaacs along with the Bowling Family, Brian Free & Assurance, and 11th Hour landed an impressive seven nominations each this year. The Isaacs took home nominations in Mixed Group of the Year and Fan Favorite Artist of the Year in addition to several other mentions and individual nominations for group members Ben Isaacs, Becky Isaacs Bowman, and Sonya Isaacs Yeary. The Bowling Family was mentioned in Song of the Year (for "I Know Enough”) and Mixed Group of the Year, in addition to much more. Brian Free & Assurance saw nods in Song of the Year (for "Say Amen”) and Album of the Year (for Unashamed), just like 11th Hour for "How Will You Plead?” and Picture This respectively. Karen Peck & New River, The Browders, and HIGHROADIII each earned five nominations apiece. Following behind those artists were Gold City, The Talleys, The Dunaways, and Tribute with four mentions, while the Booth Brothers, The Freemans, and Three Bridges all landed three nods. 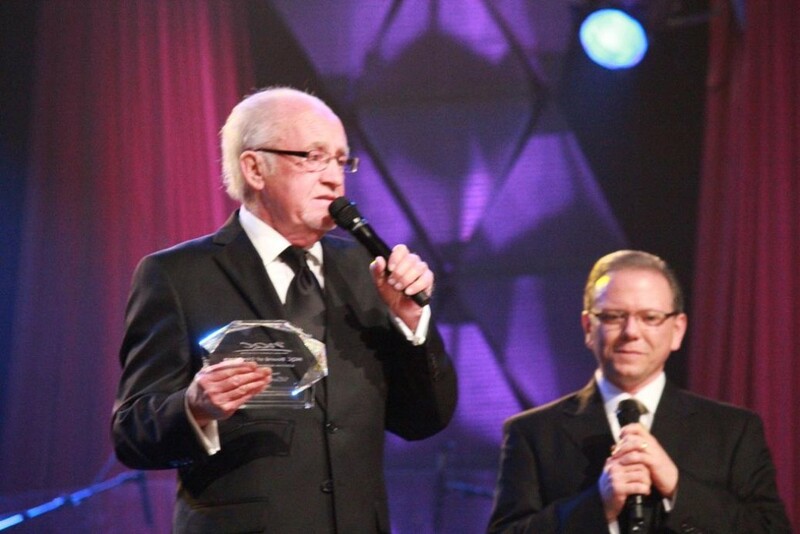 Several artists earned double nominations, including Legacy Five, The OldPaths, Triumphant, Mark Trammell Quartet, Jim Brady Trio, Collingsworth Family, Zane & Donna King, and the Kingsmen. Two people earned the most individual nominations: new soloist Joseph Habedank and hit songwriter Kenna West. They both earned a staggering eight nominations apiece. Habedank landed mentions in Breakthrough Artist of the Year and Male Vocalist of the Year in addition to multiple songwriting mentions as well. West landed her fifth consecutive Songwriter of the Year notice and had double Song of the Year nominations (for co-writing "Finish Well” and "Say Amen”). Songwriter Dianne Wilkinson earned an impressive seven nods as well - including four mentions in the Song of the Year category. Jeff Collins and Ricky Free landed six nominations, while Michael Farren, Gordon Mote, and Lee Black each earned five nods. Mentioned four times were Karen Peck Gooch, Amber Eppinette, Jim Brady, Jason Cox, and Roger Talley. Multiple people earned three nominations including Ben Isaacs, Jeff Stice, Jerry Salley, Amber Nelon Thompson, Matthew Browder, and Becky Isaacs Bowman. The Pacesetter Award is awarded to any artist, individual, or organization that has shown great strides in the industry and has raised the bar for others. This year’s nominees for the 2015 Pacesetter are satellite radio station enLighten Sirius-XM Satellite Radio, new Southern Gospel television show Music City Show, popular blogging site MusicScribe.com, record label StowTown Records, and promotional firm Vertical Sky Promotions. More information on the 2015 Absolutely Gospel Music Awards Celebration will be forthcoming, including hosts, performers, and sponsors, etc. The date for this year’s Absolutely Gospel Music Awards Celebration is Tuesday, April 14, 2015. The event will again take place at the River of Life Church in Smyrna, Tennessee. Ticket information will be forthcoming. Nashville, TN --- Mountain Home Music Company congratulates label artists who received award nominations this week for the 41st annual Bluegrass Music Awards by the Society for the Preservation of Bluegrass Music of America, (SPBGMA). SPBGMA awards will be selected by a vote by attendees during the SPBGMA convention, slated for February 5-8 at the Sheraton Music City in Nashville. Winners will be announced during an awards show starting at 6:30 p.m. on February 8th. 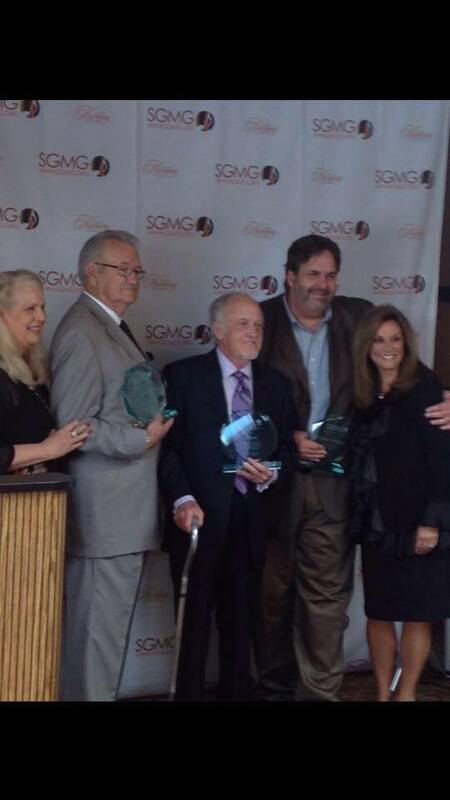 Balsam Range, Doyle Lawson & Quicksilver, The Grascals and Flatt Lonesome picked up a dozen nominations in the SPBGMA awards, with individual band members named for achievement in several of the categories. Mountain Home Music Co. nominees for Bluegrass Album of the Year are Balsam Range for FIVE and The Grascals for WHEN I GET MY PAY. Doyle Lawson & Quicksilver is nominated for both Gospel Group of the Year (Contemporary) and Entertaining Group of the Year. The Grascals received a nomination for Instrumental Group of the Year. Instrumentalists who received nominations are Tim Surrett of Balsam Range for Bass Fiddle Performer of the Year, Jamie Johnson of The Grascals for Guitar Performer of the Year and Danny Roberts of The Grascals for Mandolin Performer of the Year. Sisters, Charli Robertson and Kelsi Robertson-Harrigill of Flatt Lonesome are nominated for Female Vocalist of the Year, Contemporary and Traditional, respectively. Buddy Melton of Balsam Range received the nod for Male Vocalist of the Year. In the Song of the Year category, “So Far” by Flatt Lonesome is nominated. So far, so good for Mountain Home Music Company and its gifted artists. The label is based in Arden, NC and boasts many award nominated and winning artists in Bluegrass, Americana and Southern Gospel Music. The Society for the Preservation of Bluegrass Music of America is a not-for-profit corporation incorporated since 1974. The organization aims to preserve the traditional spirit and art form of Bluegrass music through a variety of activities including competitions, festivals and consultation. ATLANTA, Jan. 22, 2015 /Christian Newswire/ -- UP presents the exclusive television premiere of the acclaimed romantic comedy "Christian Mingle: The Movie," which follows a successful, 30-something marketing executive's zany, belief-testing journey for love after she fills out a dating profile on ChristianMingle.com in a moment of inspired desperation to find Mr. Right. Starring Lacey Chabert (UP's The Tree That Saved Christmas, "Party of Five"), the UP Premiere Movie Christian Mingle: The Movie will make its television debut on Sunday, February 8 at 7:00 p.m. EST / 6:00 p.m. PST. Produced by Home Theater Films and The Creation Lab in association with Rocky Mountain Pictures and Capitol Christian Distribution, the film is written, directed by and stars Corbin Bernsen ("L.A. Law," "Psych"). The movie's ensemble cast also includes Jonathan Patrick Moore ("The L.A. Complex," "Neighbours"), Stephen Tobolowsky ("Californication," "Glee"), Saidah Arrika Ekulona (The Taking of Pelham 123, The Royal Tenenbaums) and John O'Hurley (A Remarkable Life, "All My Children"), with Morgan Fairchild ("Friends," "Chuck") and David Keith (Officer and a Gentleman, "Hawaii Five-0"). "In Christian Mingle, Lacey Chabert plays Gwyneth Hayden, a super-successful marketing exec who admits that the secret to her success has essentially been "Fake It Til You Make It," said Sophia Kelley, senior vice president of programming, UP. "While it's always worked for her professionally, hilarity ensues and life lessons are learned when she tries to apply this laissez-faire attitude - with the best of intentions - to dating someone of faith." In "Christian Mingle: The Movie," Gwyneth Hayden (Lacey Chabert, UP's hit The Tree That Saved Christmas, "Party of Five") is a 30-something marketing executive with a top-notch career, killer wardrobe, dream apartment and great friends. She thinks the only thing missing is a man. In a moment of inspired desperation, she fills out a profile on the dating website ChristianMingle.com hoping to find Mr. Right. However, Gwyneth's attempts at impressing her dream guy end in disaster when he calls her out on her "faux faith." In an honest realization, she sees her superficial life for what it really is, and she's driven to create a personal relationship with God. In the end, He delivers on the true desires of her heart: "life-changing" love. The film also features music from chart-topping Christian music artists, including Toby Mac, Mandisa, Shawn McDonald and City Harbor. UP presents "Christian Mingle: The Movie," a Home Theater Films and The Creation Lab in association with Rocky Mountain Pictures and Capitol Christian Distribution production. Starring Lacey Chabert, Jonathan Patrick Moore, Stephen Tobolowsky, Saidah Arrika Ekulona, Corbin Bernsen and John O'Hurley with Morgan Fairchild and David Keith. Written and Directed by Corbin Bernsen. Executive Produced by Matt Swanson and Charlie Schafer. Co-Produced by James Greilick and Michael Everett. Produced by Chris Aronoff and Suzette Schafer. Casting by Harriet Greenspan. Director of Photography was Scott Williams. Edited by Benjamin Earl. Music by Brenton Costa. UP, America's favorite network for uplifting entertainment is a 24-hour television network that provides high-quality, diverse, family-friendly programming, including original and premiere movies, theatricals, drama and comedy series, music and holiday specials. UP can be seen in 67 million homes in high definition (HD) and standard definition (SD) on cable systems including Comcast, Time Warner Cable, Cablevision, Bright House Networks, Charter and Cox Communications as well as DIRECTV (Channel 338), DISH Network (Channel 188) and Verizon FIOS (Channel 224). As part of its mission to entertain and uplift, the network's pro-social initiative "Uplift Someone" reminds and inspires people to do simple acts of kindness. UP is also a service provider to its sister network ASPiRE. Based in Atlanta, UP is a division of UP Entertainment, LLC, which also offers gMovies, the first faith-friendly streaming movie service. Follow UP on the Web at www.UPtv.com, on Facebook at www.facebook.com/UPtv, Twitter on @UPtv and Instagram at UP_TV. Home Theater Films' (hometheaterfilms.com) goal is to strengthen family and community - the foundation of any society - through exciting, thought provoking storytelling that inspires discussion, and the creation of new tools to restore and rebuild home, community and a better world. ChristianMingle® (www.ChristianMingle.com) is the largest and most trusted online community for Christian singles. In addition, ChristianMingle is a part of Gospel Media Group®, a premier network of online Christian resources which is also comprised of Believe.com® (www.believe.com), an inspirational faith-based lifestyle destination designed to serve the Christian community and help Christians build and live the life God intended, Faith.com (www.Faith.com), DailyBibleVerse.com™ (www.DailyBibleVerse.com) and ChristianCards.net™ (www.ChristianCards.net). Capitol Christian Distribution is the market leader in Christian and Gospel music distribution and represents a diverse range of chart-topping Christian films and books reaching the U.S. Christian and general retail marketplace, and the international Christian marketplace. Since this distribution division was launched, Capitol Christian has had more charting titles annually on Billboard's Top Christian charts than any other Christian distributor and has been named Billboard Magazine's Top Christian Music Distributor 15 times since 1995. For additional information, visit www.capitolchristiandistribution.com. NEW YORK CITY-- Jan. 26, 2015 – “Political correctness is intellectual suicide,” author Joe Battaglia writes in The Politically Incorrect Jesus, new from Broadstreet Publishing. And in 24 penetrating essays the former journalist and long-renowned radio specialist spotlights Jesus's stand on social safety. As murders of Paris cartoonists and alleged hacking from North Korea show extreme attempts to control speech, Battaglia warns that Christians, in the name of sensitivity or tolerance, are buying in to more subtle self-censoring, and at great moral risk. “American censorship is societal—an unwritten list of you-can’t-say-that,” Battaglia says. Under titles such as “Of Mice and Media,” “The Indigestion of Entertainment,” and “The Common Sense of Counter Culture”--Battaglia pits off-limits conversations against Jesus’s call to truth in the marketplace of ideas. And where does that leave Christians? What does “politically correct” mean, and how are Christians affected? In a noisy world that seeks to denigrate and demean, how can Christians filter the messages daily assaulting our faith, our intellect, and our families? Can a Christian in 2015 stay planted in timeless thinking? How did Jesus deliver a politically incorrect message with love? What do the Sony hack and Charlie Hebdo say about censorship--and self censorship? Joe Battaglia founded and heads Renaissance Communications, a media company putting gifted communicators on all the right platforms. Think Dr. Steve Brown’s nationally syndicated Key Life Radio Network, AFFIRM Films/Sony Pictures Entertainment, Provident Films, actress Shari Rigby, author/pastor Tullian Tchividjian, Pure Flix Entertainment and Feed The Children. 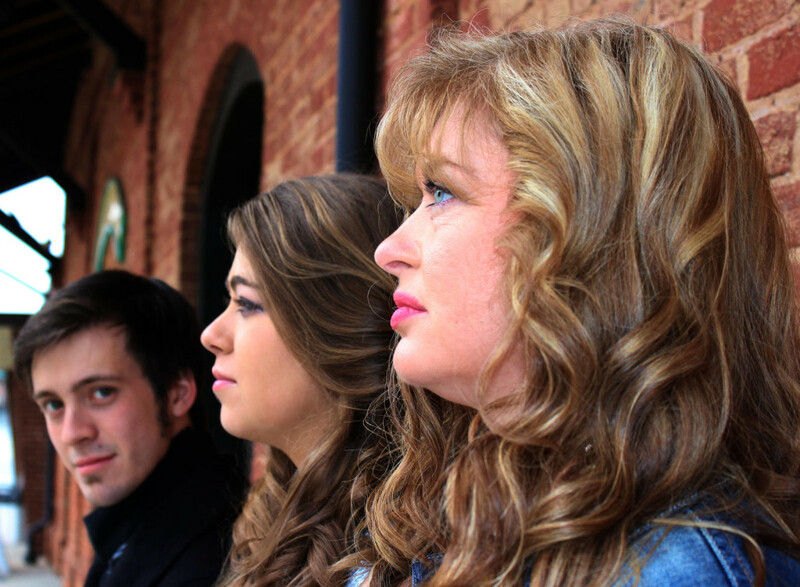 Dahlonega, GA (January 26, 2015) One of the stellar groups in Gospel Music, Karen Peck and New River has collected five Absolutely Gospel Music Award nominations. This comes on the heels of a Dove Award for Southern Gospel Song of the Year for "Revival”. Always a favorite at the Absolutely Gospel Music Awards, Karen Peck & New River, were mentioned in five categories including Song of the Year (for "Finish Well”), Mixed Group, Progressive Song (for "Finish Well”) , Traditional Song (for "Everybody’s Going Through Something”) penned by Karen Peck, Kenna West and Don Poythress. "Finish Well”, written by Karen Peck, Michael Farren and Kenna West, was number one on both the Singing News and Absolutely Gospel Music charts. In addition to the group’s nominations Karen Peck is also nominated for Female Vocalist of the Year. Voting for the Awards begins Sunday, February 1st and will continue through Saturday February 21st . Simply go to www.absolutleygospel.com and look for the large banner at the top of the front page and you can click to vote for Karen Peck and New River. The Absolutely Gospel Music Awards, often called the "finest” awards in the industry have been presented since 2002 by the staff of AbsolutelyGospel.com. The award nominations are chosen by the staff of AbsolutelyGospel.com and other select industry professionals, and most of the winners are then chosen by the fans of the genre and readers of the site. In 2005, AbsolutelyGospel.com held its first AGM Music Awards Celebration which brought in all the artists, industry professionals, and fans for an official awards ceremony. In 2006, AbsolutelyGospel.com held a contest for the readers to name the statue that is presented to the winners at the Awards Celebration, in which "Ovation" was chosen as the winner. The Ovations are handed out on the second Tuesday in April every year. To learn more about Karen Peck go to http://www.karenpeckandnewriver.com or https://www.facebook.com/pages/Karen-Peck-and-New-River . You can Twitter her at https://twitter.com/karenpeckgooch . No doubt the most popular mixed trio in Gospel Music, Karen Peck and New River are a music powerhouse in the music industry. With hit after hit and multiple number one songs, they are one of the most sought after groups today. Karen is known country flair and for having possibly the finest and highest soprano voice in any genre of music. Karen was also recipient of the Susan Unthank Memorial Award, an award given by Absolutely Gospel Music only to women who have excelled in their work in a man's world. Karen had a feature role in the hit movie "Joyful Noise”, starring Dolly Parton and Queen Latifah. New River's hit song "Four Days Late” has become a classic in Gospel music. Glasgow, KY (January 26, 2015) In early 2008 The Sneed Family launched a brand new Christian Television Show called Glory Bound Jubilee which is currently viewed in over 1 million homes each week. The Glory Bound Jubilee is a brand of The Sneed Family. They minister weekly in venues and churches across the country sharing many of the testimonies of our Christian faith. The show also brings the faces of Gospel music into the homes of believers and non-believers alike. The Sneed Family believes this show is a part of the Great Commission. The television show not only showcases Sneed Family Music but features nationally known groups, as well as vintage Southern Gospel Music footage preserving our heritage. What has made the show a favorite is a segment featured in every program called 'Telling The Story'. This segment of the program features an invitation for Christians to share their personal experience of Salvation. 'Telling the Story' continues to receive phenomenal responses from viewers as a favorite. In other news The Sneed Family has recently received a Fan Favorite nomination for the Absolutely Gospel Music Awards, held annually at the River of Life church in Smyrna, TN. The Award Celebration will be held April 14, 2015. To book the Sneed Family contact by E-mail a sneedfamilyoffice@yahoo.com or call the Sneed Office at 270-678-3575. The Sneed Family began its gospel music journey in 1982 as 'Glory Bound' with four young men just out of High School. The group was founded by 18-year-old pianist and baritone, Jeff Sneed. Jeff met and married Pam Saylors who not only became his wife, but his singing partner. Today they are living our dream by standing on stage with their entire family night after night. Since the groups beginning it has flourished into a current day family ministry team. Today’s group is made up of Jeff Sneed (vocals, piano), Pam Sneed (vocals), Amanda Cowan (vocals, mandolin), Caleb Cowan (vocals), Seth Sneed (vocals, rhythm & bass guitar), and Jacob Sneed (drums). In early 2008 The Sneed Family launched a brand new Christian Television Show called "Glory Bound Jubilee” now "Sneed Family Music” on WPBM Proclaim Broadcasting. Dalton, Georgia Plans for the second annual Gerald Crabb Gospel Fest are underway! A&G Entertainment is pleased to announce the Gerald Crabb Gospel Fest is scheduled for Thursday, July 9th through Sunday morning, July 12th and will be held at the Northwest Georgia Trade and Convention Center in Dalton, Georgia. The lineup for the evening concerts is outstanding. On Thursday, father and son duo Wilburn & Wilburn will take the stage along with Terah Crabb Penhollow, original member of the award-winning Crabb Family, and will also feature the Gaither Vocal Band’s lead singer, Adam Crabb. Grammy award-winning Jason Crabb is the highlight for Friday night and Saturday night’s award winning performers will be Brian Free and Assurance, The Freemans and Weston & Christy Hinson. Mornings will start with chapel services led by Gerald Crabb followed by afternoon regional artist showcases. This year’s Gerald Crabb Gospel Fest will also include a talent search, sponsored by Daywind Music Group, and a songwriting and artist development workshop. The event wraps up on Sunday morning with a prayer breakfast and concert led by Gerald Crabb and The Freemans. Just Added July 8th will be a Family night with Gerald Crabb. Admission is free on that night. This is an event not to be missed! Tickets for Gerald Crabb Gospel Fest 2015 go on sale January 26, 2015 and can be purchased at http://www.nwgtcc.com/ or by calling 877-772-5425. For more information, visit www.geraldcrabbgospelfest.com. His Mercies from North Carolina recently welcomed new alto singer, Kayla Stricklin from Statesville. She joins RJ Henderson and Mitzi Stamey in this progressive Southern Gospel trio whose energy and enthusiasm have made them a favorite wherever they go. His Mercies record with Chapel Valley and have been Diamond Award nominees for the past two years. “The best feeling in the world is to know you are in the center of God’s will. It’s been evident since day one that this is orchestrated by God and I could not be more excited to see what He has in store for us,” says 20-year-old Kayla. Hi Mercies just released their new single, “I Want It All,” to radio this month. Please listen for it and call your local radio station if you don’t hear His Mercies on their playlist. For more information on His Mercies, visit their website here. The 2015 Diamond Awards nominations open January 19, 2015. Visit www.sgnscoops.com for more information. The Diamond Awards ceremonies are held during the Creekside Gospel Music Convention. This year’s Awards gala will be November 3, 2015 at Pigeon Forge, Tennessee. Lari Goss, native of Cartersville, Georgia, passed away on January 10, 2015 at the age of 69. Most recently residing in Brentwood, Tennessee, Goss is survived by his wife Carolyn, sons Benjamin (B.J.) (Julie) Goss, Nicholas (RaeAnna) Goss, Jonathan Goss and Cameron Goss; brother, Roni (Linda) Goss; grandchildren, Samantha, Joseph, Alexandria, Christian and Eva Mae Goss. Funeral services for Goss were held on Thursday, January 15 at Brentwood Baptist Church. Many of his friends from the music industry and across the country were there to give tribute, along with officiating Pastors Jim Cymbala and Stan Mitchell. Goss was well known as arranger, producer, writer, orchestrator, keyboardist and musical genius in all areas of the Christian and secular music world. He began his career in the Goss Brothers and continued in music for over 60 years. Multi-award winner, including a Grammy award, several Doves and an induction into the Gospel Music Hall of Fame, this gentleman’s resume includes the Brooklyn Tabernacle Choir, Christ Church Choir, many symphonies, orchestras, and artists world-wide. Goss was also an ordained minister. How do I sum up in one paragraph the influence Lari had on our music? It’s impossible. Looking back at all the “hits” he arranged over the years..70’s, 80’s, 90’s ’til today, it’s hard to see where his influence starts…and ends. I look at it this way…if you remember a song that you fell in love with, he probably produced it. Way beyond his years, even as a young teenager, he was writing orchestrations. He was not just filling in the parts, but mapping out those lush chords of transition that revealed the “heart” of the song. If you met him, you’d understand. His soft spoken demeanor, and friendliness to all reflected his heart. My greatest memory will be watching him create a “mood” with one of my songs on the piano…knowing he was hearing the full orchestration in his mind. His eyes would leak as he’d say, “I think this is going to be good.” What an understatement! We’re blessed every night as we sing along with tracks he created. Genius. Just enough power in the track, and just enough melodic calmness…kinda like God…always including His power, yet always reminding us of His quiet assurance. Lari listened to God…obviously. Let’s pray for the Lord to fill the huge void left with Lari’s home going with another creator who will closely listen to God every time he sits down at the piano…and live for Him every time he stands up. Words can’t express the hurt and sadness over the loss of our friend Lari Goss. I have spent a lifetime with him, from The LeFevres till now and love him like family. The very first time I went into the studio at LeFevre Sound I was terrified but Lari and the Goss brothers made me feel so at home. It was always my dream to have him work with us so Amber could work with him and be a part of that genius mind of his. He did that on The A Capella Sessions. He is irreplaceable! I always said if you can’t sing with Lari you can’t sing! Heaven is singing loudly now! It takes a time-tested and successful artist to craft an album that can take you on a journey through the fabric of life. Ivan Parker's Threads of Mercy describes God weaving our thread through highs and lows, good times and bad times, with one thing always standing true: Mercy brings us through to the glory of God. From the kicking first radio single “‘Til The Shackles Fall Off” and “On The Solid Rock I Stand”, to the thought provoking “Silent Prayer” and “God’s In The Middle Of It,” you are sewn into a storyline of God’s love and mercy. Ivan Parker has a style that is unmistakable from the first song to the last. When the intro starts, whether it’s uptempo or a ballad, you know it’s an Ivan Parker song. Ivan hit his vocal sweet spot on this new record. His voice matches perfectly with the songs on this CD with a warmth that feels good as you listen. Ivan Parker has won thirty Singing News Fan Awards, including eleven Male Vocalist awards. Threads of Mercy will no doubt take him on to many more accolades in the future! Threads of Mercy will come out on January 20, 2015. Preview and pre-order today at iTunes or Amazon. (Nashville, TN – Jan. 13, 2015) – Mark Carman, a 30 year veteran music producer, can now add another accolade to his achievements and this one is a big one! Carman's production work on the latest release for country superstar T. Graham Brown's Forever Changed, has been recognized with a 2015 Grammy nomination for Best Roots Gospel Album. This is the first Grammy nomination T. Graham Brown's career, his first studio recording in over a decade and his first gospel album. Along with T. Graham Brown, the project features a host of musical greats from various genres of music including Leon Russell, Vince Gill, The Oak Ridge Boys, Jason Crabb, Steve Cropper and among others. The lineup of talent on this record collectively boasts 26 Grammy awards and 37 Christian music GMA Dove Awards. The task of putting all the pieces together and bringing the puzzle together was not easy, but Mr. Carman is accustomed to hard work. Growing up in Beckley, WV, Mark began hi career in the early 1980's as a police officer but his passion for music soon carried him to Nashville, TN where he established himself - through hardwork, dedication and perseverance - in songwriting, producing, and working in almost every phase of the music industry. In total, Carman has produced over 2800 recordings in the past 30 years. Carman states, “There are so many people that have etched my career in music, that I know I will never remember to thank them all, but know, that I am very appreciative and humbled being know as a Grammy nominated producer. T. Graham Brown is one of country music’s great iconic voices and we worked countless hours producing this great record. I am so happy for him and his album getting nominated as one of the best in its category. " T. Graham Brown comments, “I feel so very blessed by the Grammy nomination and I’m so grateful to Mark [Carman,] my wife Shelia and all the great people at MCM and Sony for their support” said Brown. The album is available worldwide in retail stores and at all digital outlets. MCM World Media LLC was formed in November, 2012 by President, Music Producer and CEO Mark L. Carman, long time business associate and Vice President, Frank Scherman and former Los Angeles Radio Programmer, Television Executive Scott Orchard, Vice President of Marketing. Produced by Mark L. Carman, recorded and mixed by Joe Carrell for MCM World Media, “Forever Changed” is comprised of thirteen tracks featuring guest vocal appearances by popular, award-winning artists Vince Gill, The Oak Ridge Boys, Leon Russell, Jason Crabb Jeff & Sheri Easter, Steve Cropper, The Booth Brothers, Three Bridges and Jimmy Fortune. A line up of talent that collectively boasts 26 Grammys and 37 Dove Awards. “Forever Changed” is nominated for Best Roots Gospel Album and is going to be re-released on Sony/RED (in conjunction with Mansion Entertainment) on January 27th, 2015. T. Graham Brown has recorded over thirteen studio albums and charted more than twenty singles on the Billboard charts. Three of these singles reached Number One and eight more reached the Top Ten. Brown’s voice is also recognized from his singing in advertising campaigns for McDonald’s, Disneyland, Almond Joy, Coca Cola, Dodge Truck, Ford, Hardee’s and many others including the Taco Bell “Run For The Border” television spots. This past year his appearance in the concept video for “Working On A Building” with Marty Raybon, Jimmy Fortune and Trace Adkins was aired across multiple national television networks. T. Graham Brown still actively tours throughout the year including multiple appearances on the Legendary Grand Ole Opry and television appearances such as Larry’s Country Diner and Country’s Family Reunion. Brown's uniqueness has made him one of the most beloved and iconic performers of the day. The Guardians Release Radio Single "Somebody Prays"
Popular trio, The Guardians - comprised of John Darin Rowsey, Dean Hickman and Neil Uhrig - have released a brand new song to radio. "Somebody Prays," written by group member and multi-award winning songwriter John Darin Rowsey, is currently available via Heritage Communications with Jeff O'Neal overseeing all radio efforts. The encouraging song is from their brand new project, Let My Heart Sing, and was produced by Lari Goss. Jeff O'Neal comments: "I've been promoting the Guardians music to radio for many years and this is by far their best release yet!" The Guardians are celebrating 25 years of music ministry. Hey, Y’all!! I’m deeply honored to have been asked by my friend, Karen Nalley, to help coordinate this Benefit Concert. Little 7 year old Kinsey Keever was diagnosed last September with a nongerminomatous germ cell brain tumor. PLEASE help us spread the word about this very important night! Special thanks to Troy & Tammy Burns; Sharron Kay King; Robert Reece & Glorybound Quartet; Vonda Easley & Hope’s Journey; Linda Foster and Christie Bryant for donating their time to perform and minister. We’re going to do our best to make a difference in the lives of this family. Will you help us? HENDERSONVILLE, Tenn. – Dianne Wilkinson is the latest among an elite crop of established songwriters to re-sign an exclusive agreement with Daywind Music Publishing. Wilkinson has won numerous awards and has penned 12 No. 1 songs. The most recent of those chart-toppers was the Old Paths’ hit – “Long Live the King” – which reached the No. 1 spot in July. She was the first female to be named the Southern Gospel Music Association Songwriter of the Year in 2000, one of the earliest of her numerous awards. 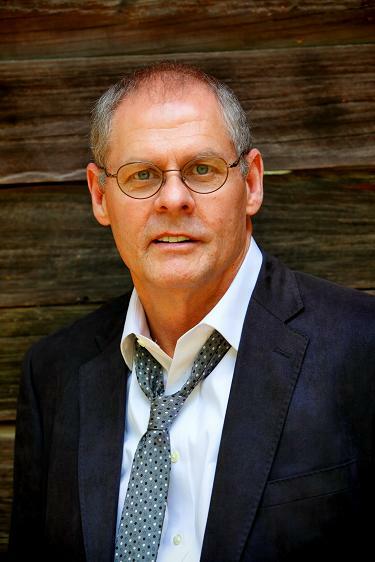 Wilkinson – who was well-known for having 16 songs recorded by the legendary Cathedral Quartet, including “We Shall See Jesus,” “Boundless Love” and “High and Lifted Up” – has been nominated for two Dove Awards. She has won three awards from different organizations for Southern Gospel song of the year. Most recently, Wilkinson won the National Quartet Convention Music Award for songwriter of the year in both 2012 and 2013, and she won the Singing News Fan Award for the favorite non-performing songwriter in both 2013 and 2014. DO CHRISTIANS TALK TOO MUCH?